What’s the big deal with Ganja? We sat down with Viki Vaurora, 25, an audio producer and engineer from SAE Singapore and London, who is the founder of Emipact – an umbrella organization that drives initiatives across diverse areas, such as: entheogenic medicine research, legalisation of cannabis for medicinal, recreational and industrial purposes, organic farming, protection of animal rights, ecology and the creation of a healing village. The common theme across all these initiatives is cannabis. Viki has treated more than 100 patients suffering from cancer using Rick Simpson’s cannabis oil method. 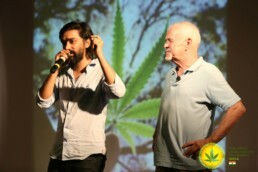 After he cured his first patient, he founded the ‘Great Legalisation Movement – India’ in November of 2014, that seeks complete legalisation of cannabis and aims to dissociate it from social stigma. 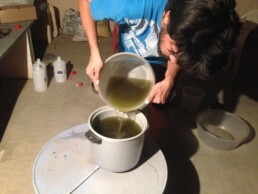 Some Western countries like Canada, USA and Europe have started investing their efforts in building a cannabis industry, (though still in its nascent stage) and Viki’s experiments with cannabis raises awareness about its industrial and medicinal uses in India, which, although well documented in its ancient texts, scriptures and traditions, have, as of now, been criminalized. With growing interest in this space and a cultural migration from a similar shift in mindset in the West, the GLM movement might potentially herald something significant for both the individual and industrial relationship with cannabis. WHAT IS THE GREAT LEGALIZATION MOVEMENT AND HOW IT WAS INCEPTED? The day when the dying cancer patient was declared free of cancer, I was obligated to spread awareness about this cure with the millions of suffering souls in our very own land, who once used this plant freely in our Ayurvedic medicines. In 1985, the Indian government gave into the pressure that was built over 24 years from the United Nations to prohibit the use of the Ganja (cannabis) plant in our country. Our governments take the liberty of doing things that benefit the corporations or the western countries without any consent from the public or respective organizations. Such is the situation with this medicinal herb, Ganja, which has been used for thousands of years on this land for its medicinal properties and also as a spiritual tonic. The Great Legalisation Movement aims to educate our people, government, doctors, industries and entrepreneurs about the benefits of this plant. It seeks complete legalisation of cannabis to allow people to grow the plant and use it for medicinal, spiritual or recreational purposes and to release everyone who has been arrested for cannabis trade in the past 31 years of prohibition in India. When I was using the plant (smoking it), I happened to look into the real history of it and soon realized its medicinal properties. It could cure cancer and almost hundreds of other diseases. And all the scientific proof was not being taken seriously by our media or the medical system. It reeked of corruption and the proof was all over the Internet. All of this was an eye opener, but everything changed when I helped a dying patient with high concentrated cannabis oil that healed her from cancer completely. It wasn’t a floating internet story anymore. It was a real cure. But the hurdles that had to be fought for complete legalisation are enormous. Because a majority of the people are heavily brainwashed and programmed to believe that this plant is some sort of a bad narcotic drug. So yeah, that’s when this Great Legalisation Movement began. WHAT DO YOU HAVE TO SAY ABOUT OTHER COUNTRIES DECRIMINALIZING CANNABIS? There are many countries that are trying to legalise the plant or have already legalised it completely, or partially while keeping it heavily regulated. But how many of them are doing this for the real need of it? For many of those countries, it’s just another monetary industry to be established. Look at all the existing industries around the world. The greed and the corruption within and around those industries are the main reason for the destruction of nature around us; because it’s all about the money. For example, in Canada, UK, and the USA, the plant is legalised for medicinal purposes but only a few corporations can grow it, and they are turning it into a synthetic drug priced at very high costs. This, in turn, won’t and doesn’t benefit the patients, both in terms of costs and cure. This is a bad model of legalisation. The plant needs to belong to the people. Self-healing is a fundamental right of every being on this planet. We need a transparent model of decentralization where the plant benefits the environment, farmers, suffering patients, thousands of micro and macro industries, stressed out people and the needy government. All at the same time and in the same way. Just let the plant breathe and grow like the way it used to; wild and free, and let it be used for industrial, medicinal and spiritual purposes. WHAT IMPACT WILL IT HAVE ON THE MEDICINE, ALCOHOL & TOBACCO INDUSTRY? WHAT DO YOU THINK ABOUT THE CANNABIS MOVEMENT AND PRODUCTS IN THE USA? Our current medical industry is just about 150 years old. And it’s flawed, broken and corrupt to its very core. By keeping away so many powerful medicines from the people and offering wrong chemicals to those who are suffering, makes it look like modern health care is no longer about healing but about profit. Like it or not, the medicines as we know will change soon. People in emergency situations will still need doctors and hospitals but to a large extent, they will be able to cure their own diseases by consuming cannabis products (oils and edibles) and other plants. However, the alcohol and the tobacco industries might convert products the people demand because at the end of the day, when someone experiences the plant, it is so easy to realise that Ganja is much better than those toxic chemicals and acidifying products. So, if the demand for alcohol and cigarettes goes down they would have no other option but to produce products like hemp wine, hemp beer and more. Every fall has a new beginning. They might either soak in their own tears or start right away and pioneer a new trend in the world. Hemp wines and hemp cigarettes will open a whole new market for these existing industries. The same goes for many of the other industrial products that hemp can completely replace. It’s just this one plant that can help us form a sustainable and eco-friendly system without changing our lifestyles. DO YOU FEEL MARIJUANA PLAYED AN IMPORTANT ROLE, CULTURALLY, IN INDIA? DID IT GAIN PROMINENCE AFTER IT WAS WESTERNIZED? It was a crazy propaganda! Just Google for “Reefer madness” and you’ll see it for yourself. 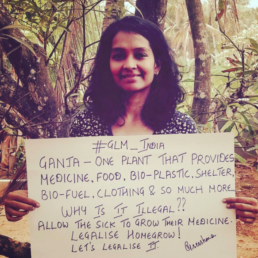 So anyways, speaking about “Ganja”, it played a really important role in our ancient medicinal system of Ayurveda. In 1800’s, an Irish doctor named William O’Shaughnessy was working in the British-East-India company in Kolkata. He re-discovered the amazing benefits of this plant after he saw our Ayurvedic doctors curing some of the most dreadful diseases using simple plant extracts that contained Bhaang (Ganja). So, he conducted experiments, with a variety of diseases, on both animals and humans and found success in his results. He then introduced the medicinal properties of cannabis from our Ayurvedic texts in the British Pharmacopeia which led to a medical revolution around the world because the scientists and doctors started researching about it. By the late 1800’s, cannabis was used as a primary medicine to treat and cure, if not all, most of the deadly diseases of that century. It is not just the healing powers of the plant which are deeply rooted in our country’s history but also the spiritual ones. Smoking cannabis played a huge role in our ancient scriptures, religion, art and knowledge of the universe. Expanded states of consciousness that one can achieve by consuming cannabis is so powerful that our Vedic scriptures regarded it as one of the most sacred plants to grow in our land. But we easily take information handed down to us without knowing the truth. It was our knowledge and belief in this plant that inspired others to find more about it. 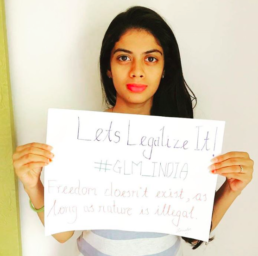 WHY DO YOU THINK LEGALISATION HAS NOT BEEN TAKEN UP AS A MASS MOVEMENT IN INDIA? WHY DON’T WE SEE ANY MEDIA COVERAGE OR SUPPORT FROM CELEBRITIES AS WE DO IN THE WESTERN COUNTRIES? The reality of our journalism today is that it’s regulated and biased to organisations and our government. The journalists have to bow down to most of the network needs. For instance, every article that I write for newspapers, I use the term “ganja”, the way we, Indians, know it here, but they all end up getting printed as Marijuana! They don’t even have the courage to call it by its name and we expect them to speak about the corruption that is involved. They would rather choose to brainwash people again that there is a new cure for cancer through this plant called Marijuana. Then comes the situation of our holy celebrities who are all so busy selling shampoos, bikes, shaving creams, inner wears, chemical cosmetics, electronic goods and more while producing some meaningless content they call art. They are so scared of losing their status with their association with Ganja, owing to its perception in the society. And to those rare few like Naseeruddin Shah, who do not belong to the above categories, have played a huge role in shaping this movement and spreading the real information around. WHAT DO YOU THINK WILL BE THE IMPLICATIONS OF LEGALISATION OF CANNABIS ON SOCIETY? WHAT ABOUT THE SOCIAL STIGMA AND STEREOTYPES? The whole stereotype of stoners being lazy is a myth. I was one of them and now I work almost 18 hours every day towards designing a better future and a meaningful society to live in. If it wasn’t for this plant, I would have never known my purpose and I would have never destroyed my crazy levels of procrastination and laziness that I suffered from for many years. And this journey with the plant resonates well with millions of users across the world. Don’t smoke an indica when you have to work. It’ll make you very lazy. Don’t smoke a sativa when you have to sleep. You’ll be awake for no reason and this will affect your work the next day. Most importantly, don’t use the plant when you don’t need it. It takes years to learn the art of using it in the right way. There are lots of pros and cons in all of the above. But the best way I know is micro-dosing cannabis once every day. Just use it and don’t abuse it. And remember less is more! I know a few families who follow the righteousness of getting stoned and these stoner families spend more time together, laugh their hearts out, stay closer to each other and are much evolved and open-minded. I know many couples who have switched from alcohol to ganja and they all say the same thing that they feel more connected than before and all their egoistic protocols within the relationship are completely dissolved. And finally at work, it’s best to not mix them. But again, dump the rules! Micro-dose the sativa during the peak of your work and you’ll be able to stretch your mind beyond your capabilities. Most of the good thinkers, philosophers, scientists, artists, writers, musicians, filmmakers and entrepreneurs used Ganja to give their best to their passion, work or life. The stereotype that it’s just a narcotic drug is fed to us by the alliance of media networks and governments controlled by corporates that want us to stray away from the truth. The reality is that it’s a trillion dollar crop that can save billions of people by offering millions of happy jobs to create thousands of new sustainable-cleaner-safer products and also help cure hundreds of diseases for which we still have no cure. This plant is here to save us from ourselves. The only thing that we are doing, is not using it. Once it is legalized completely, it will break the existing stereotypical myths and will lead us to a sustainable, cleaner and a better future for all.